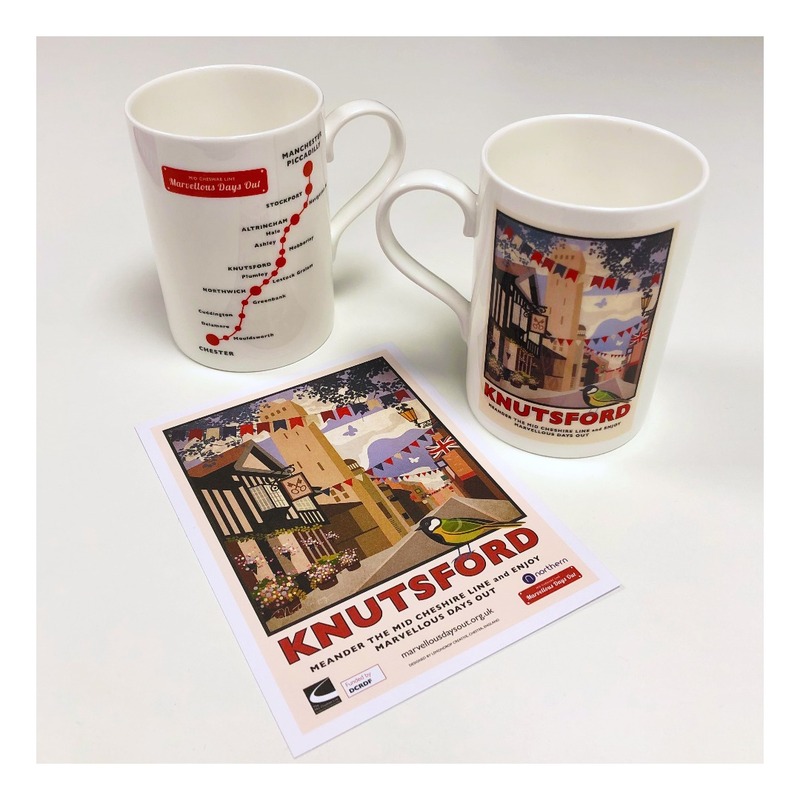 The Community Rail Partnership Marvellous Days Out mugs are now on sale at Knutsford Heritage Centre on King Street. They are based on the poster design for Knutsford and also show the route of the Mid Cheshire Line. The mugs have been specially designed for the Community Rail Partnership by Nicky Thompson of Lemondrop Creative who drew the iconic poster. Heraldic Pottery of Stoke-on-Trent have produced the mugs in Staffordshire bone china. They are on sale for £11.95.